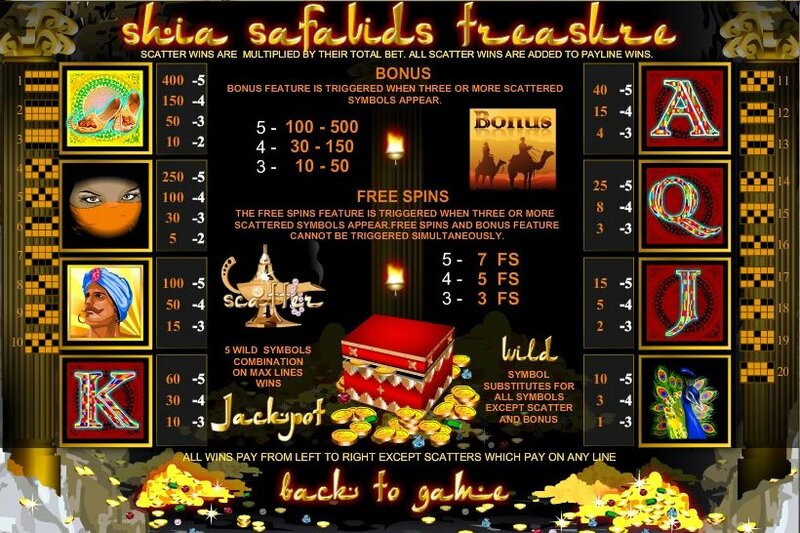 Overview: Shia Safavids Treasure 20 Lines video slot game is all about magic: hit 3 Scatter Aladdin Magic Lamps for 5 free spins; hit 4 Aladdin Lamps for 10 free spins; hit 5 lamps for an incredible 20 free spins! Hit 5 or more combinations of the Wild Treasure Chest and you will win riches beyond your imagination! 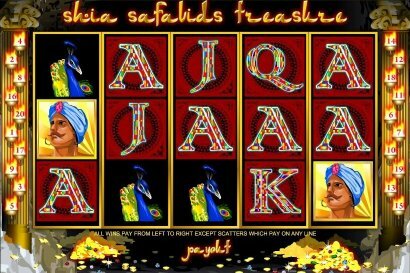 Similar Slots: If you like Shia Safavids Treasure, you might like these other slot machines from Top Game: Crazy Jungle, Fruit Slot (25 lines), Happy Circus, Lost Gems of Brussels, Wild Sevens.